What makes the front line back down? 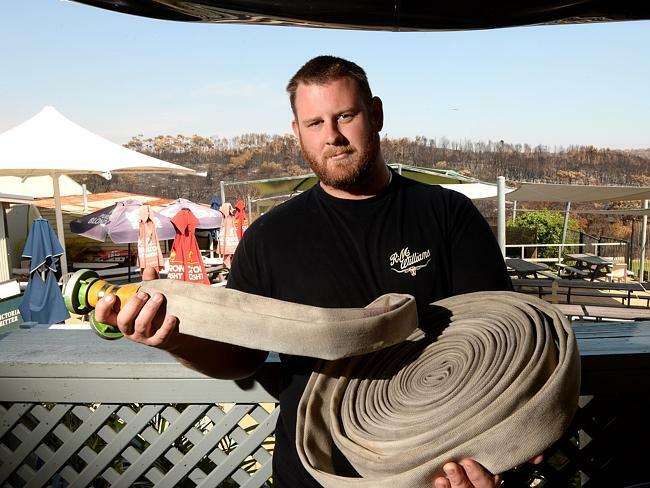 Here’s an update to this morning’s story about an obsessive, officious licensing officer trying to pull up a publican offering free beers to firefighters(aka heroes) who saved his pub. Since the story broke, the NSW Police Department have been trying to distance themselves from the officer in question. A spokesperson has denied that the licensing officer was sent by superiors or issued a warning. The hardline of the front line becomes a happy, congratulatory tale of heroes and beers all ’round. Cops Are Tops, etc etc. Except.. they aren’t. Every day there’s a story at least this ridiculous. Here’s one about Queensland’s continuing march towards becoming a police state. Or perhaps you remember the business owner threatened with a $5,000 fine for decorating his storefront for Australia Day? This is how to make a cop back down. Police are the natural enemies of civil liberties, but public scrutiny is the natural enemy of bottom-dwelling soul-suckers like this license officer. When there’s an egregious charge in the mix, bring the media and police together, and watch that powderkeg explode in cleansing, charge-dropping fire. It could be as easy as tweeting to a reporter.